You’re going back to work and your child is coming to the childcare centre for the first time – it’s a situation you both need to get used to. 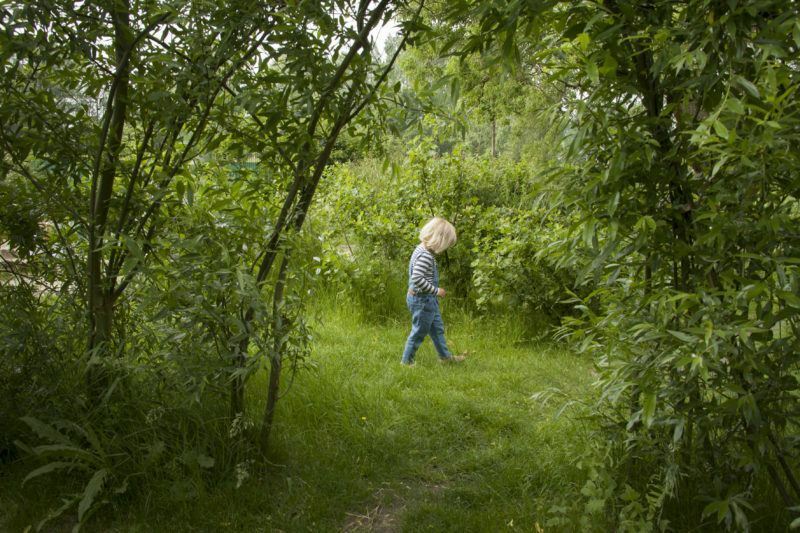 For your child, it’s often the first step outside its familiar surroundings. For you, it’s important to be able to balance your work and private life. It’s important to have a period of settling in to the nursery. It gives you the chance to get to know the nursery staff and lay the foundations for a good and sustainable relationship. After all, KinderRijk childcare will play a role in the upbringing of your child, and we place tremendous value on the contact and liaison with you. When it comes to familiarisation, we will tie up with your baby’s frame of mind as much as possible. One child will feel at ease from the first day and has no problem staying a half or the whole day. Other kids will have great difficulty getting used to new faces and staying at a group, and will therefore need more time to become familiarised. The educational staff will keep a close eye on what is best for your baby over the first few days and consult with you. Your baby will be welcome from the very first day the contract takes effect. Parents may stay at the group for part of the day. Any arrangements made with the educational staff during the introductory phase will be set down during the introductory conversation. This may be adjusted if this period does not quite turn out as expected. Also in the case of a transfer to another group within the location, we will closely monitor that the introductory phase links up well with this specific child during the transfer to a new group. The educational staff member of the baby’s own group will look after the child during the internal transfer. In the morning, you drop off your child, and there’s time for a cup of coffee or tea and a chat. This is when you can tell the carer what she needs to know about your child, such as how they slept, how they’re feeling, and so on. This moment of communication is very valuable for us. Once all the parents have left, the children get something to eat like a piece of fruit or a cracker. We make sure we give them healthy food and drink that is varied, and has only little fat, sugar and salt content. Your child gets something to drink with and in between each meal, such as water, milk or tea. We make contact with the children and encourage them to interact with each other. Then we do an activity, for instance craftwork, singing, jigsaws, storytelling, etc. Your child chooses what they would like to do, and there’s always a chance to just play, both indoors and outdoors. Around noon, the children wash their hands and we have lunch together. They learn how to spread their own bread from an early age and choose what topping they would like themselves from the choice offered on the table. We talk, sing and read aloud so that your child enjoys each meal. After that the youngest children now have a nap, and the older infants can do a 3+ activity. There’s extra attention time for the babies now and more space for them to go exploring in the abundant play area without interruption. In the afternoon it’s time for another fruit or cracker and something to drink. After that, your child can go and play outside or take part in a group activity either in one of the play areas in the centre or in their own group room. From 3.30 pm, children can be picked up and our carers tell you how the day went. Your child may proudly show off something they’ve made and the carers will have often taken a photo of the process. Seeing them being busy is often even nicer than seeing the end product. And it gives you a good idea of what your child has experienced. There is time for quiet play (such as doing a jigsaw or playing with lego) or a book. Your child will get something to eat and drink at around this time. Your child will play indoors or outdoors until you arrive to pick them up and hear from the carer about how the day went. Obviously, your child will not simply be swapping home for child care overnight. It’s essential for your child (and yourself!) to first get used to the new situation. Once your baby has become familiarised to care and is effectively participating in the group, you will for sure have more questions and you will want to know how things work. On the pages about childcare and toddler care you find information about what usually happens throughout the day. In addition, many formal and informal contact moments will be available when you can speak with the staff and ask questions!